Sometimes the best radio comes out of nowhere and I think this specifically applies. 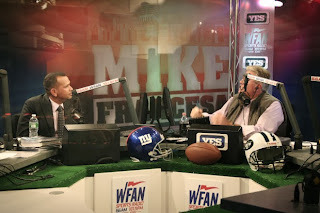 After walking out of what he described as an "abusive" arbitration hearing, embattled Yankee Alex Rodriguez appeared with "New York's Numbah 1", Mike Francesa of WFAN and for the first time, abjectly and adamantly deny the most recent allegations of illegal performance-enhancing drug usage as well as take shots at the investigation by Major League Baseball and commissioner Bud Selig. Take a listen.